Swift A-Frame bullets are unique in their design. They have a bonded dual core design separated by a copper partition. Intended for heavy, thick skinned game. 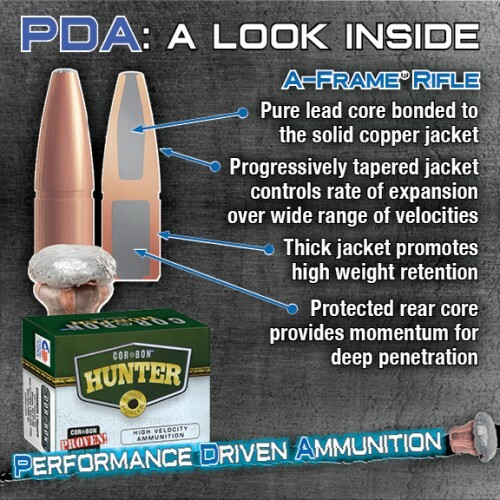 This bullet expands to twice its bullet diameter and typically has 90 to 100% weight retention.